Eastwood Quilters Exhibition | Eastwood Patchwork Quilters Inc. 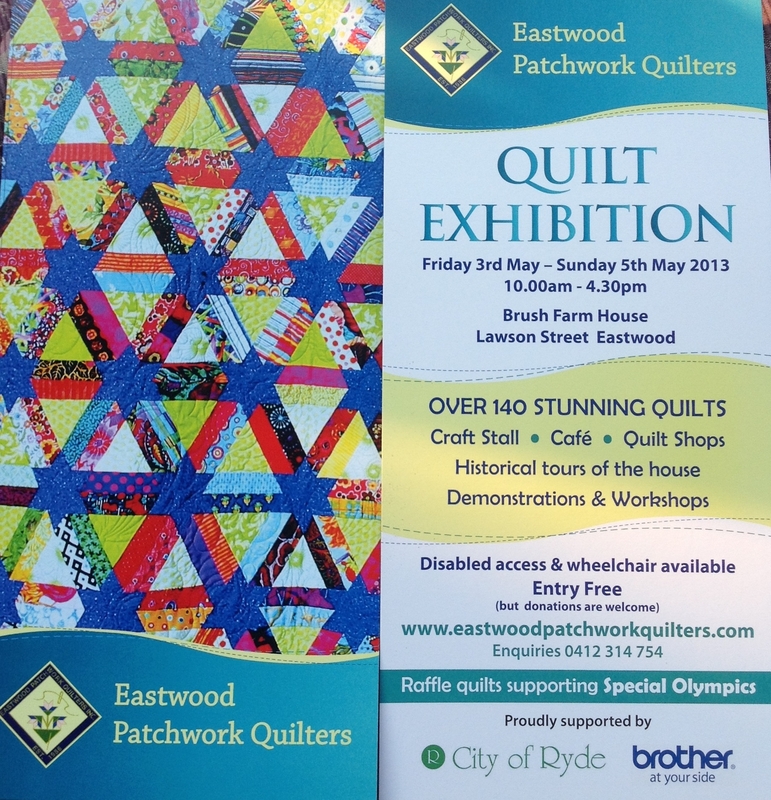 This entry was posted in Brush Farm, charity, Eastwood, Eastwood Patchwork Quilters, epq, exhibition, patchwork, quilting, quilts and tagged Brush Farm, Eastwood, Eastwood Patchwork Quilters, EPQ, exhibition, patchwork, quilt exhibition, quilting, Special Olympics by eastwoodpatchworkquilters. Bookmark the permalink.